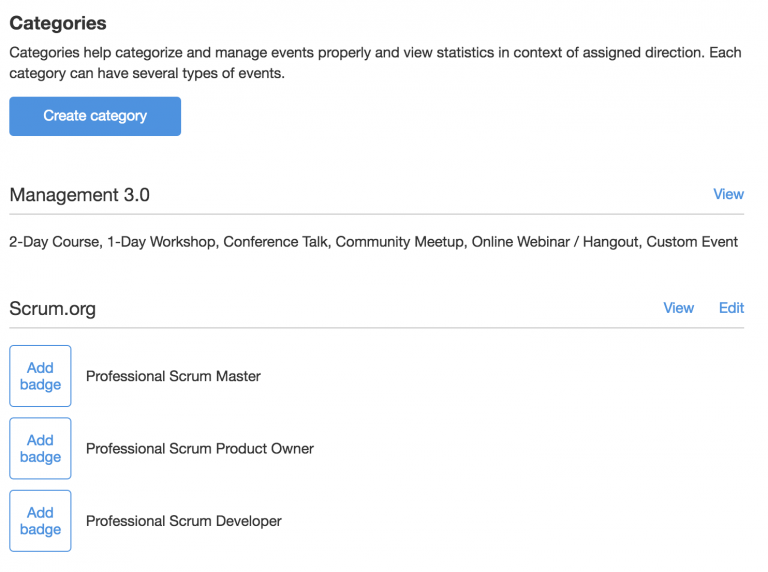 Event categories and types is an easy way to organize your workshops and attendees. Not only they help you to navigate between different workshops easily, the presentation of your events on the website is structured and easier to grab. There are several places where categories are actively used. When you add the first category, a category switcher appears in your cabinet. By selecting a category, you can decide what events and attendees you want to work with. After integrating your website with Workshop Butler, you can promote events of different categories on different pages. 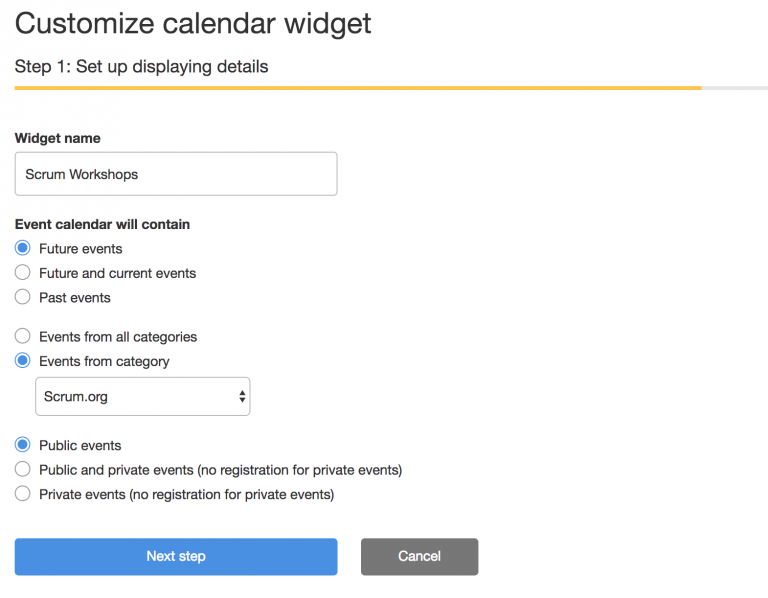 It is very easy to do by creating per-category calendar widgets. To add a new category with related event types, open your profile and choose Categories tab. You will see all the categories available to you. If you’re a trainer or a facilitator of a registered content provider (like Management 3.0 or Lean Change Management), you will also see them. You can upload a badge for each event type. Badges are used by integrated event calendars in “Table with badges” layout.